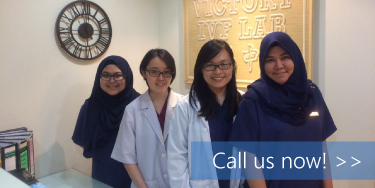 Victory IVF Fertility Lab is the first IVF laboratory in Johor Bahru (JB), Johor equipped with the state-of-the-art A.R.T. (Assisted Reproductive Technologies) facilities. The laboratory offers a complete range of A.R.T. services and procedures. Victory IVF Fertility Lab has consistently achieved over 50% clinical pregnancy rate per embryo transfer and 40% live birth rate per embryo transfer. Contact us now for more details.